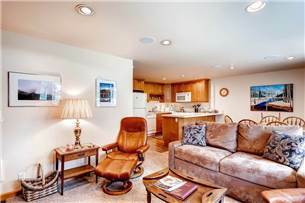 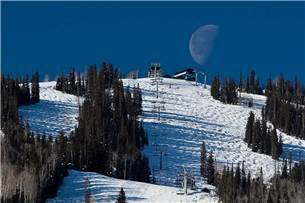 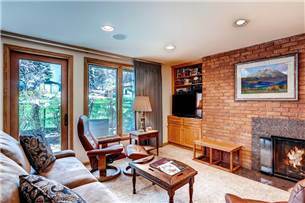 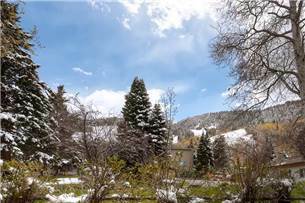 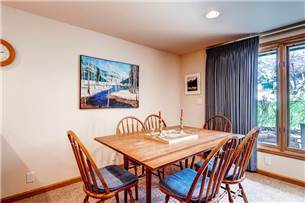 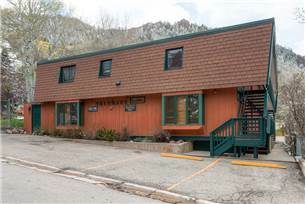 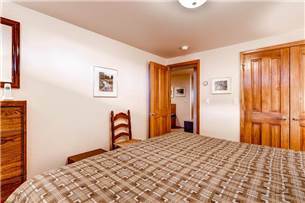 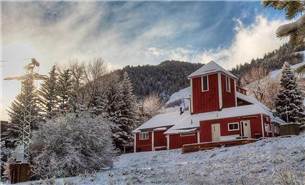 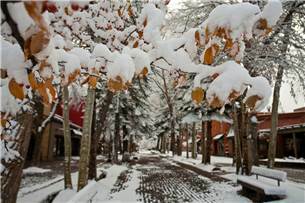 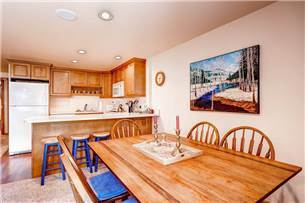 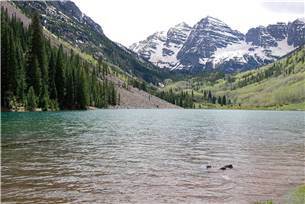 Telemark 2 is a two bedroom, two bathroom condominium located one block from the core of downtown Aspen, and for many it is ski-in, with a short walk to the lifts. 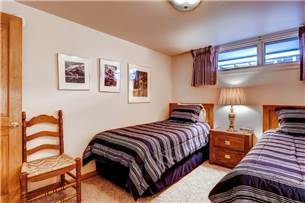 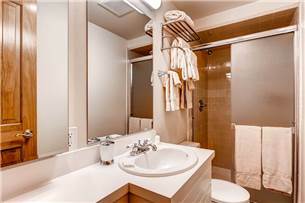 It has a quiet and private location while still offering easy access to all of the action. 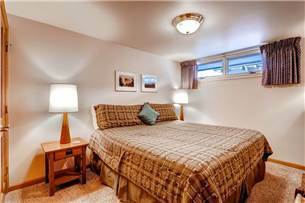 This condominium can easily accommodate up to 6 guests by using the comfortable queen-size sleeper sofa in the living room! 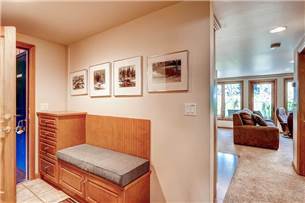 There is plenty of storage for clothes and winter and/or summer play equipment, and the old-style baseboard heating system has been upgraded to radiant heating in the floors. 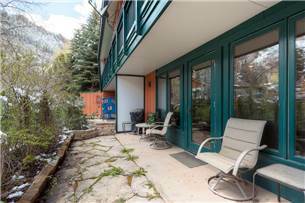 The dining area can seat up to 8 people, and there is a small patio area off the living room with a barbecue and views of the ski area. 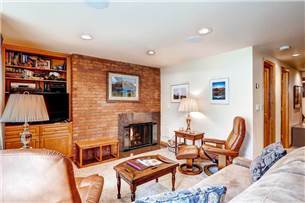 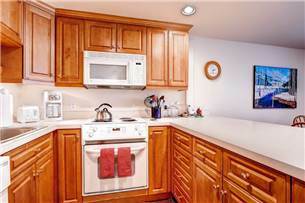 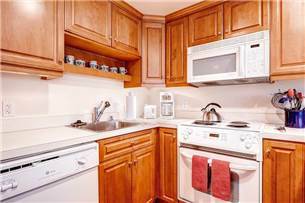 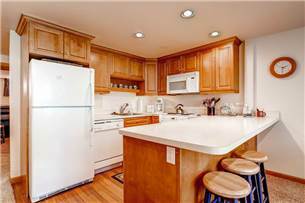 This condo features one off-street private parking space, wireless internet, a gas burning fireplace, and a full kitchen. 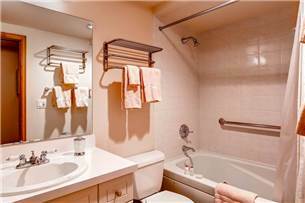 The master bath has a beautiful 8 jet Jacuzzi bathtub. 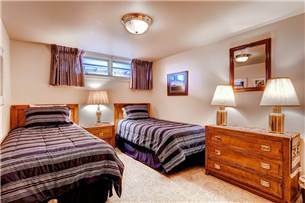 The master bedroom has a king, and the second bedroom has two twins that can be made into a king upon request.